Ann-Marie Carlomagno is our off Site Convention Coordinator. She also Supervises classes and helps teachers in both the Westborough and Worcester studios. She was a student of the Charlotte Klein Dance Centers, a member of the first Dance Company and the second recipient of the Elisa Ruth Klein Scholarship Award. She has over 30 years of teaching experience! Ann-Marie teaches all levels of dance at both studios and is a choreographer of the Dance Company. Ann-Marie studied and danced at the internationally known Gus Giordano Dance Center in Evanston, Illinois. She is the new President of the New England Chapter of Dance Masters of America and has served on the Board of Directors for over 15 years! She has been a guest teacher for DMA New England Chapter #5 and at many dance studios in New England. 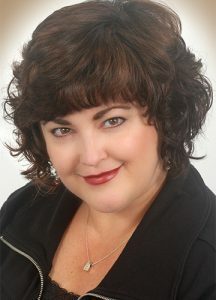 She has served as a competition judge for DMA National and Regional Competitions, the Connecticut Invitational Competition and American Dance Awards. In July 2012, Ann-Marie attended the Dance Masters of America National convention/competition in Anaheim, California, where she was invited to teach master classes. In 2013 she traveled to New Orleans, LA to Judge DMA’s prestigious Miss/Mr. Dance Competition as they celebrated their 50th Anniversary. This past summer she traveled to Orlando, Florida to attend DMA’s convention and choreograph the opening number as well as Judge the Teem Miss/Mr. Competition. Her choreography has won numerous first place and highest adjudication awards at many regional and national competitions including the prestigious Sherry Gold Memorial Award for choreography. In addition to teaching dance, she has choreographed routines for competitive ice skaters. Ann-Marie is a dedicated dance teacher and has inspired her students to have professional careers. She is proud of her daughter Taylor Markarian, who was Teen Miss Dance of New England 2010, Miss Headliner 2011 and 2012, Miss Dance of New England 2012 and 4th Runner-up to Miss Dance of America! Taylor now lives in NYC where she is pursuing her Dance Career!